Era sets new standards. 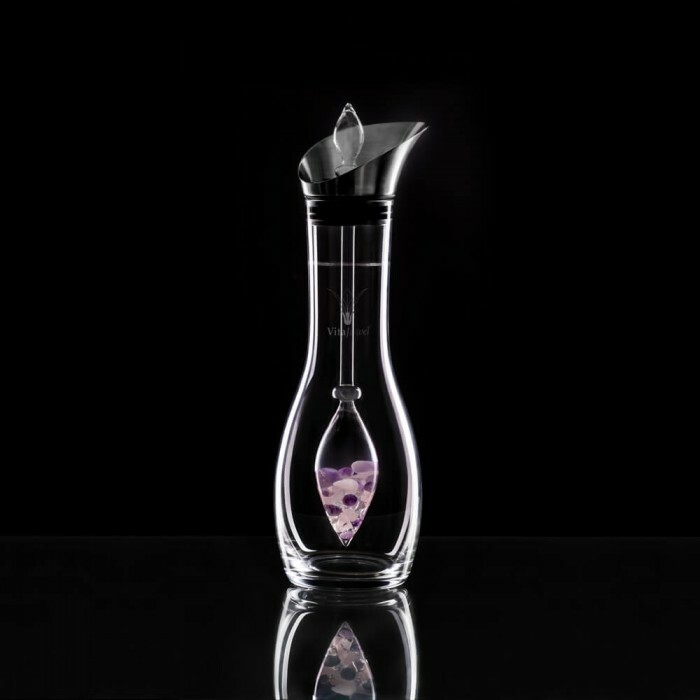 Instead of creating vials for regular pitchers, we started to think differently: Imagine a glass decanter that provides a vibrant and exclusive setting for our gemstone vials and maximizes usability. 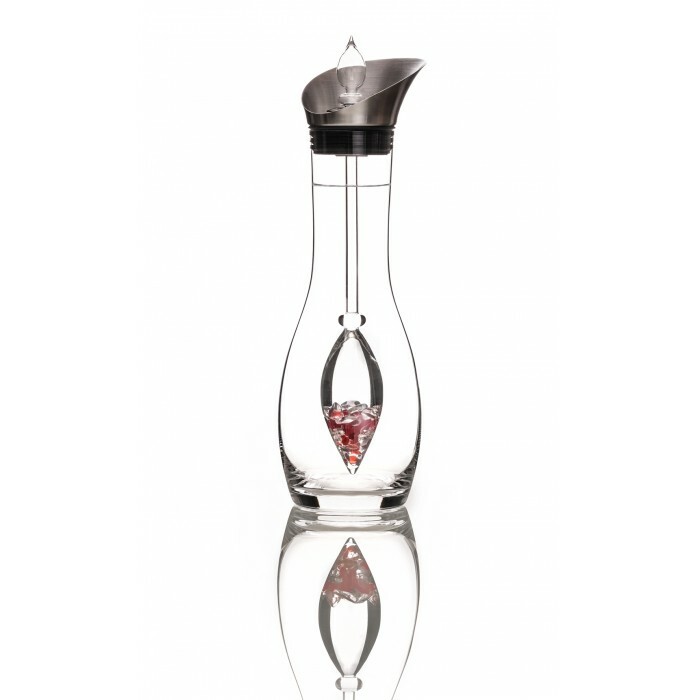 A decanter to start a new era in the preparation of gemwater. 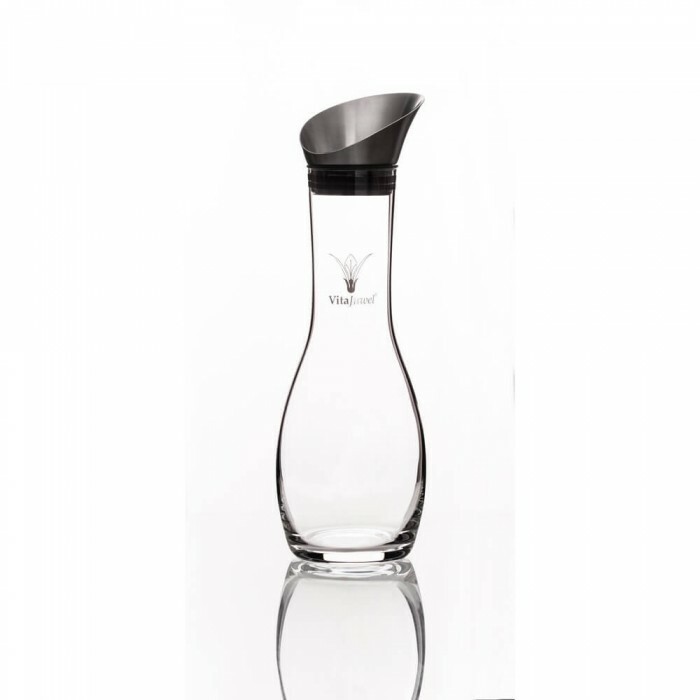 With Era, your VitaJuwel gemstone vial (not included with purchase of this product) seems to be floating freely inside the decanter. Era comes with a lid which does not need to be taken off while pouring water and preserves your fresh VitaJuwel gemwater like no other. It holds the gemstone vial firmly, prevents the vial from shaking and hitting the decanter and therefore reduces the risk of breakage drastically. Era (including its lid) is dishwasher-safe and holds 1.3l (44 fl.oz) of gemwater.